Stan passed away peacefully on Saturday, July 14th, 2018 at the age of 90 years. 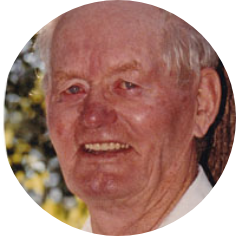 Stan was born on the farm in the Mawer/Central Butte, SK area where he grew up and then farmed until his retirement in 2007. He married Helen Weed Lendrum in 1964 and they raised their three boys – Wilf, Kim and Mark on the farm. In 1999, Stan and Helen moved into Moose Jaw and settled in the Manhatten Condo in 2003. Stan was living on his own at the Manhatten until January of this year when health issues required a change. For the past month he was living in the Hilltop Manor in Weyburn to be nearer to family. Stan had a variety of interests but mostly he enjoyed baseball and playing cards – any kind of card game. He loved to play cards with family, friends and to teach the games to his grandchildren. In his younger days he was involved in many community organizations but especially in the game of curling. He also spent many hours watching the ball games on the field just north of his condo and also those on TV – Go Blue Jays. Stan is survived by his wife of 54 years, Helen; their children: Wilf and Norma (Weyburn, SK), Kim and Rhonda (Airdrie, AB), Mark and Latricia (Grand Forks, North Dakota); grandchildren: Zayne and Andrea, Seth, Selena, Alyssa, Austin and Tanner; siblings: Fern, Chet and Connie, Flo, Roy and Elaine, Wanda, Corien, and Gail; his in-laws: Earline, Lynn and Barry, and June and Jim; as well as numerous nieces and nephews. The family would like to thank the staff at the Hilltop Manor for their wonderful care of Stan during the last month, his friends at the Manhatten for their many kindnesses and friendships, and his friends from Central Butte for their visits. A Memorial Service and interment will be held at a later date. Flowers are gratefully declined. As an expression of sympathy, donations in Stan’s name may be made to a charity of one’s choice.